Our cities are shrouded in clouds of pollution, and the ever increasing number of cars is to blame. 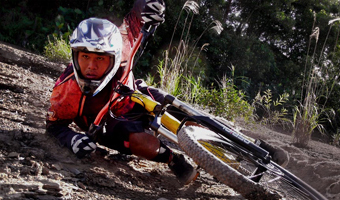 For this reason, the future might just unfold on two wheels instead of four. In this article, we will explore the concept of bike sharing from its very beginning, tracing its steps until the present and finding out why bike sharing programs hold such incredible promise for a better and greener tomorrow. In the midst of the 1960s, Northern Europe was faced with an unforeseen issue caused by an increase in pollution. But what was to blame for all of this? Cars, of course. The American auto industry reached peak sales numbers in 1955, and its overseas competitors quickly followed suit. By 1965, the situation was a dire one. It was during those times that the first ever bike sharing initiative was born. It was known as the Witte Fietsenplan, or “white bicycle plan” in English, and it took place in Amsterdam. There, a man named Luud Schimmelpennink who was a member of the Dutch counterculture movement Provo, painted 50 bicycles white and placed them on the streets for people to use. His political statement against automobile-induced pollution was not met with the desired response, as many white bikes were stolen or vandalized. Schimmelpennink tried proposing the idea as a formal city plan years later, but it got rejected once again. The council of Amsterdam simply didn’t see a future in this means of transportation. It took almost 30 years for the project to be fully revived, this time in Copenhagen. The project is known as Bycykler København, or City Bikes Copenhagen, and it continues to live on today. When it was first kickstarted in 1995, it was met with similar issues of theft and vandalism as the Witte Fietsenplan, but its clever marketing techniques secured it the necessary funding to thrive. Their solution to the aforementioned problems? Have riders offer a deposit upon claiming the bike from its doc, then returning the money to them once the two-wheeler was back safe and sound. This minimized instances of destruction or stealing, although it did not eradicate them completely. The anonymity of the transaction was what incited many to commit these. The city pulled the plug on the project in 2012 and private entities took over, updating the system. Bycykler København still exists today, but if function under a pay-per-use type of model that is arguably more successful than the first. Although some steer away from it because it is no longer free, at least the integrity of the bicycles is preserved. The final building blocks for the modern bike sharing services we have come to know today were placed in Rennes, France, through the city’s Vélo a la Carte program. Just like in Copenhagen, bicycles were placed in docks and were free to use, but riders needed a nominal magnetic card to redeem them. This quickly solved the problem of theft and vandalism, but that’s not the only revolutionary idea brought along by the project. For the first time ever, the bicycles were used as vessels for non-traditional advertising. The managing company, Clear Channel, promoted its ads directly on the two-wheelers, while the city rewarded its efforts with additional commercial space. In addition to this, Clear Channel was clever about the actual locations of the docks. The team in charge of the project was aware that people would employ them more often on mixed commutes, so they placed them near bus stops and park-and-ride facilities around the city. This made them an eco-friendly alternative to avoid traffic that many citizens enjoyed. Bike sharing systems have become the norm in most European and North American cities of the 21st century. Spain is the market leader in the field, with 132 of its cities currently offering this kind of service to their inhabitants. Across the ocean, New York was the first city to implement a structure that is fully paid for by corporate dollars. Of course, it wasn’t just raindrops on roses for bike sharing during our decade. With Montréal’s Bixi declaring bankruptcy in 2014 and Bycykler København calling it quits on offering free facilities, the plan does have its inherent flaws. Nevertheless, it is a viable means of transport in today’s contaminated world. In this section, we will discuss its inner workings more in-depth. As previously mentioned, the first system supporting bike rentals in major cities was based around docks. These still operate in major cities such as New York and London today, but they have been proved to greatly impede the mobility of commuters and tourists alike. This is how the new generation of smart sharing began. Users can track the location of a bike with the help of a mobile app, then pay the fee and receive the code to unlock it for usage. When they are done with it for the day, they can simply leave it where they are, and someone else will pick it up if he or she is in the area. Seattle is a prime example of the success of such an approach. It costs 0.50 to 1 dollar to use one bicycle for 30 minutes, which is more than fair. 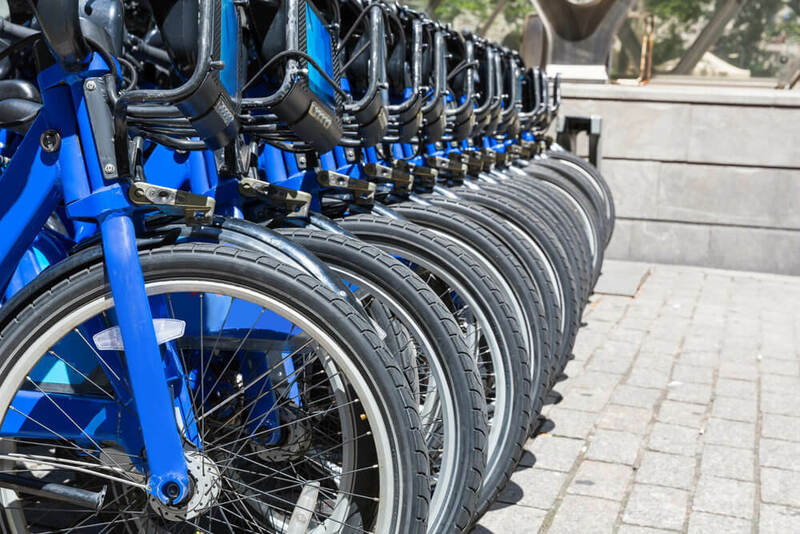 A similar initiative has been started in Bucharest, the capital city of Romania, by local private bike manufacturer Pegas in collaboration with the country’s Commercial Bank. Half an hour will cost users 1.9 RON, which is the rough equivalent of 0.50 dollars depending on inflation. In some countries, daily, weekly, or seasonal subscriptions are available for purchase. One example is represented by Finland’s capital Helsinki, where 5 euros will buy you one day and 10 euros mean that the bike is yours for one week. If you are an avid rider, 25 euros cover the charge for the entire season. According to a 2012 study on the benefits of public bike sharing in North America, the main advantage of implementing such a program in any city is that it turns people, that otherwise wouldn’t be interested, onto cycling. This applies to both locals and tourists, as the system creates an infrastructure for commuters and visitors alike. This further enhances transport flexibility and reduces gas emissions in the area of major cities and towns, while at the same time reducing fuel costs and traffic congestions. All in all, bike sharing leads to a more eco-friendly city free from the clutter and anxiety of jammed streets and endless racket and fumes. While this might appeal more to the expectations of inhabitants, the leisure industry has a lot to gain from the method as well. Who wants to spend their day in a city they are seeing for the first time trapped in a tour bus among a sea of noisy cars? Renting a bike will get you where you want to go effortlessly. You can park it with more ease, and it’s cheaper than a taxi or rental car too. What is more, the city’s overall urban economy can profit from the program as well, in spite of the considerable investments that have to be made. The results of a study published in 2017 in the Sustainable Cities and Societies review has demonstrated this on multiple levels that have to do with more than just an influx of visitors. First and foremost, local businesses that are situated in the general area of a bike share-point have seen more foot traffic over the course of the last few years thanks to the program. Accessibility in areas not connected to the public transit network is no longer an issue for people, which gives them an opportunity to explore more of the city and actively participate in it. Furthermore, when commutes become more efficient, so do workers. In this way, local economy thrives from the standpoint of its laborers as well. And, of course, let’s not forget how positive cycling is to human health. A 2011 study demonstrated this not only from the standpoint of physical activity, but decrease in pollution levels and resulting ailments as well. Back in the 1960s, the Dutch government dismissed bike sharing projects as not being fit for the future. Half a century later, it is safe to say that it was wrong. This type of plan is now comparable to ridesharing ones, and a lot more appreciated than public transport in many countries. Still, for many this is true as long as the weather is pleasant. For most people, riding a bike year-round is simply unfeasible. Nevertheless, adopting this means of transportation seasonally still makes a difference. What is more, it does have its aforementioned advantages over taking the bus or subway, and the costs are comparable, if not nonexistent. Still, it’s worth mentioning that most modern systems are now pay-per-use. Cities vs Sponsors: Who’s Backing up Bike Sharing? At the beginning, any bike sharing project was perceived as an initiative that should come from and be implemented by the local government. However, this perception was changed in 1998 with the Vélo a la Carte program in France. Suddenly, private entities had new ways to advertise themselves and gain public appreciation in the process. Nowadays, nothing looks better for a company than supporting environmentally-friendly policies. Our planet is in trouble on this front, so whoever does a considerable effort to at least halt the damage is widely respected. This is why many brands jumped on the bike sharing train rather quickly. Still, banks seem to dominate the game today. New York city’s pioneering Citibike system is financially backed by Citibank, while Toronto has its Bike Share Toronto courtesy of TD Bank. The previously discussed private endeavor pursued by Romanian bicycle manufacturer Pegas in the country’s capital city is also supported by the Commercial Bank of Romania, which is another example in this encompassing trend. In the current political climate where banks risk becoming the bad guys again any day, racking up some consumer goodwill is an immediate benefit that results from the founding of such a community project. 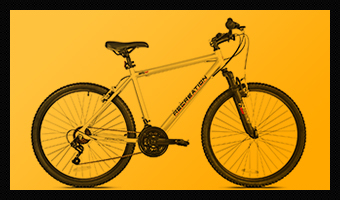 Moreover, they have ad space on the bikes themselves, which will transport their brand throughout the city in an easily recognizable format. Additionally, these types of systems are financially supported in the corporate sector by more than just banks. Sports gear and apparel brands are an important part of the sponsor pool in this case, for obvious reason. New Balance has already backed up Boston’s Hubway bike sharing program, while Nike is investing in an upcoming scheme in Portland called Biketown. After all, what better place to advertise your athletic products than through a venture that support physical fitness and health, among other aspects? And as we’re on the topic of wellbeing, a few medical services and insurance companies provide sustenance for bike sharing, such as Medical Mutual in Columbus or Blue Cross Blue Shield in Minneapolis, Chicago and Tennessee. Up to this point in the article, we have mentioned the positive environmental impact of bike sharing several times. However, this topic is worth investigating more, as it is the main benefit of adopting this means of transport in the long run. The body of research on the topic backs this statement up with the help of a myriad of studies. Here are a few relevant examples. Research conducted in 2008 on the topic of greenhouse gas emissions produced by shuttling in New York City uncovered that if just 5% of commuters gave up driving their cars or riding in a cab, as much as 150 million pounds of CO2 can be saved every year. The only other way to achieve this would be by planting a forest that is 1.3 times larger than Manhattan. A practical example of this theory is illustrated by the events of the 1996 Olympics in Atlanta, Georgia. A decrease of 23% in automobile traffic was required in the city so that the competition could take place, which lowered the atmospheric concentration of ozone in the area by 28%. In addition to this, 41% less acute asthma cases were reported that year. Of course, no analysis of this topic would be complete without Spain, the industry leader. A 2011 study on their beloved Bicing program has demonstrated that, since the implementation of the system, carbon dioxide emissions in the host city of Barcelona have been reduced by a yearly rate of 9,000 metric tons. These impressive numbers are a clear indicator of how many people leave their cars behind and choose to ride a bike instead. In a way, bike sharing functions as an incentive for drivers to keep vehicles in the parking garage for longer and use an eco-friendly means of transportation that motivates them to work out instead. Plus, being able to rent a two-wheeler for a limited amount of time allows you to try it on for size and see if this transit option is for you. Thus, such projects might also be a potential encouragement for consumers to purchase their own bikes. This increases accessibility and enhances the chances of more and more citizens choosing two wheels instead of four. We have become more than accustomed to seeing our world’s metropolises flooded by automobiles and trapped in seemingly endless traffic jams. When you live in a big city, it feels like you’re in a loop. New cars show in the congestion all the time, and yet the situation remains unchanged. Nowadays, cities need to breathe more than anything else. Here is were bike sharing comes in once again, provided the adequate infrastructure exists for the two-wheelers. By this, we mean designated lanes, safe and efficient parking, and other amenities that improve the daily life of urban riders. If this exists, more and more people feel motivated to commute using this means of transport instead of a vehicle. When this happens, it means that avid drivers don’t have to give up their route. Some people are meant to steer the wheel of a car to transport themselves or offer a service to others. Still, not crowding the streets with an endless procession of engines is in everyone’s advantage. We all get to work or school faster and without breathing in as many fumes, which makes us happier. Happier, you say? Yes, that’s right. This isn’t a made-up statistic. 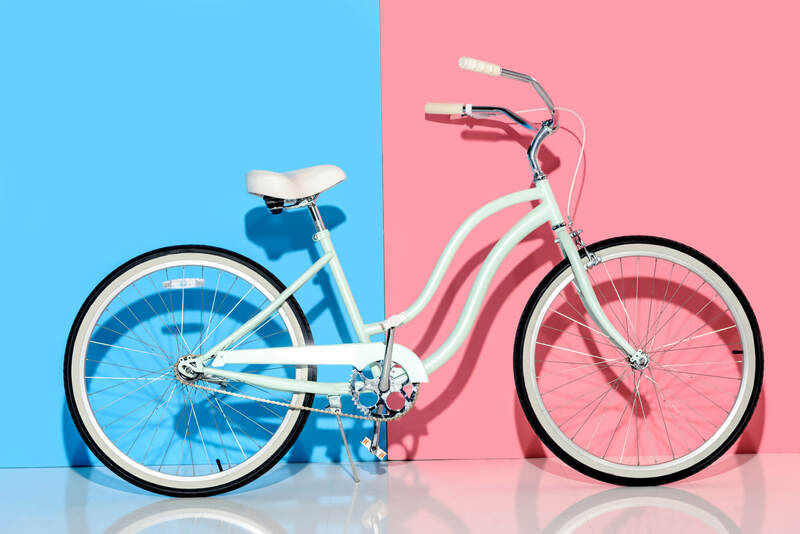 Cycling is closely tied to personal happiness, according to surveys analyzed by The Atlantic. It just goes to show that not forcing people to spend hours in traffic is a great way to maintain the population more satisfied with the overall life quality the state is offering them. Finally, an important aspect mentioned by The Atlantic in its investigation of bike sharing has to do with a little-discussed aspect in the community. We’re talking about diversity, of course. Immigrants, ethnic minorities, and LGBTQIA+ individuals are more likely to be spotted pedaling in the city than their privileged peers. This might lead some to think that bike sharing is a trendy activity reserved for the ‘cool’ and tolerant youth of today, but according to urban anthropologist Adonia Lugo, the situation is a lot more nuanced than that. For some people, especially those that reside in marginal neighborhoods, cycling is the only means of transportation they can afford. This poses more issues than just the legitimacy of such services. Wouldn’t it be better for everyone if they were free? But if they are free, how can the managing entities avoid theft and sabotage? The situation seems like a true catch-22, which is why it is important to raise awareness on the issue of diversity as well. It’s important to note at this point that the rise in popularity as far as rideshare affairs are concerned does have an advantage for these categories of citizens. City and corporate-owned projects alike create an increased interest in building the adequate infrastructure for this activity, which will eventually lead to the modernization of towns around the globe. Some modern cities already have an adequate amount of bicycle lanes throughout their entire area. For those who don’t, raising awareness is essential. This type of community movement is an excellent way to do it, as long as it is pursued correctly. And thanks to activists such as Lugo, we might live to see a day when this goal is met. In the present, bike sharing programs are the trademark of the world’s smart cities. The concept has come a long way since the 1960s, and its technological and geographical expanse continues. Renting a two-wheeler for personal use is no longer reserved to Northern Europe, or even the United States of America. The Asian market for such projects is expanding as we speak. What is more, the dockless bike revolution is quickly taking over the world’s main city cycling hubs. Or is more like a war than anything else? In this article, we explore the service today by considering new trends and relevant models of development. The Western world might have claimed bike sharing as their own during its first decades of growth, but Asian markets are quickly following suit. 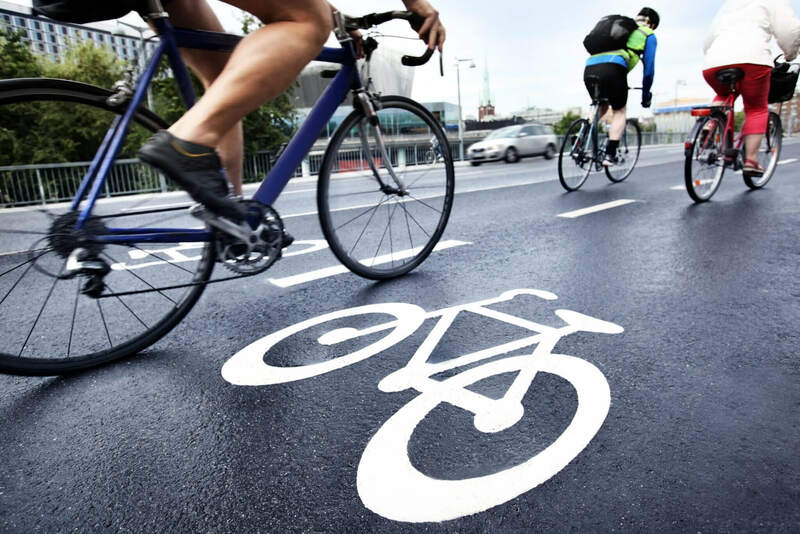 The largest system in existence today is that implemented towards the end of the last decade, namely in 2008, in the Chinese city of Hangzhou, after officials observed a rapid decline in cycling among its population. This quickly changed the urban landscape, and according to a 2011 study 30% of participants had already incorporated bike sharing in their daily routine by then by using a station that is either close to work or their home. In this way, the system became both a complementary approach and a worthy rival to Hangzhou’s public transport system. If you visit Hangzhou, you won’t be able to take a walk around town without seeing at least one rental provided by the Public Bicycle service. There are currently around 78,000 two-wheelers in the program that dock at 2,700 stations situated across the city in major points of interest. By 2020, the company behind it has predicted as many as 175,000 bikes will be available. And Hangzhou isn’t the only Chinese city where bike sharing is popular. Taiyuan and Shanghai are two other prime examples in the country with over 10,000 bicycles in constant use. In fact, the former’s service expanded so rapidly, it isn’t yet known how many there are. Some estimates are as bold as 41,000 bicycles. 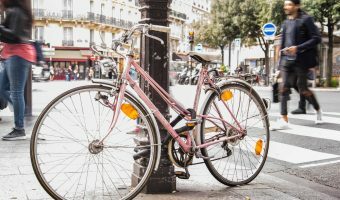 It comes as no surprise that the European country with the largest bike sharing program outside of China is France, the birthplace of advertising on two wheels and corporate investments. Their system is called Vélib, and it has 20,000 bicycles distributed among 1,200 stations around the capital city of Paris. Nevertheless, there is a rampant theft and vandalism problem going on within the program. 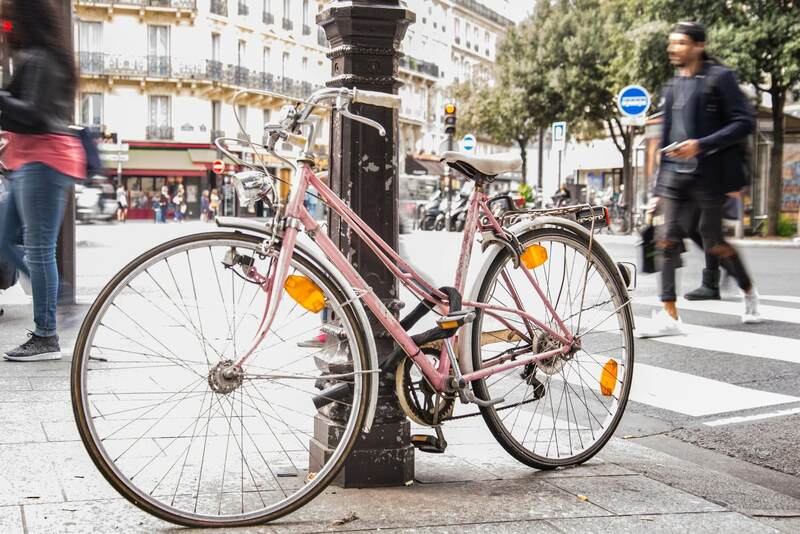 Just in 2012, more than 9,000 bikes were reported missing or found mangled on the streets of Paris. Many of the stolen ones were sold for parts or commercialized second hand in faraway corners of the continent. The problem is widespread in Europe. When Mobike brought 1,000 glossy new bikes to Manchester all the way from China, Mancunians were overjoyed. But in true European “this is why we can’t have nice things” spirit, it took less than two weeks for many of them to wind up in the canals or trash bins of the city. The United States of America have embraced bike sharing as much as any other country, and no initiative reflects it better than NYC’s Citibikes. Powered entirely by Citibank without any governmental interference, 6,000 two-wheelers can be located around the city in 330 different stations. Needless to say, the locals love them, as New York is an incredibly crowded town. But in spite of this widespread sentiment of appreciation, theft is a problem in the case of Citibikes as well. These crimes are frequent in the Lower Manhattan area, which has certainly kept local police officers busy. Nevertheless, the entities behind the project plan on expanding it even further in the years to come, in hopes of reaching European levels. The topic of bicycle theft and vandalization in the larger context of ride sharing initiative is closely related to the dockless revolution, for obvious reasons. As previously mentioned, many projects rely on the installation of docking stations around the city, which clearly dictates where one’s experience starts and where it ends. 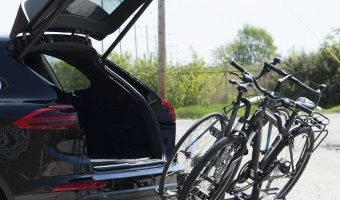 This hinders accessibility and mobility for many cycling enthusiasts, but it also functions as a stronger guarantee that the two-wheelers will be securely returned to their respective owners at the end of day. While some are stolen or destroyed regardless, it is a safety net for many companies that invest in this type of service. So, what happens when you take the docks out of the equation? You end up relying on the common sense of people. This quality, as demonstrated by the cases presented above in various cities, is barely there most of the time when it comes to the possibility to appropriate an otherwise costly item. What is more, the technology is experiencing some difficulties with its integration in Europe. Chinese at its origins, the dockless ride doesn’t seem to perform too well in cities such as Berlin or Copenhagen, where pedaling is already pretty common. However, for smaller cities such as Bucharest, the initiative is catching on better, especially considering the fact that it is local. Besides, can dockless services and station-based ones coexist? The short answer is yes. Dockless bike sharing is a great way to cover certain neighborhoods in big cities where stations weren’t previously installed. It is cheaper for the government as well, as this type of project does not require any additional infrastructure. Furthermore, going dockless in the parts of town where tourism isn’t necessarily flourishing would be of great assistance for the marginalized communities mentioned in the previous section of the article. Nevertheless, these services should be kept affordable, which is something many companies tend to overlook these days. In the 1960s, local governments saw no future for the bike, and boy were they wrong. In today’s gridlock-prone cities, riding on two wheels is certainly the best alternative. 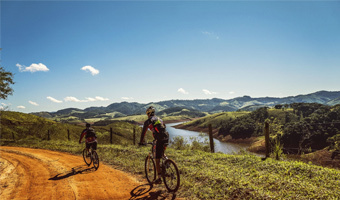 With the help of modern technology and accessories such as GPS tracking, Bluetooth, and mobile apps, the bicycles can be tracked and managed better than ever before. The revolution in public transport is dockless, and many people seem to be on board than ever before. Still, problems with infrastructure still exist. Taking out the stations to facilitate access and transit can create chaos, as it happened in China before. Sidewalks and major points in cities become flooded with discarded bikes. 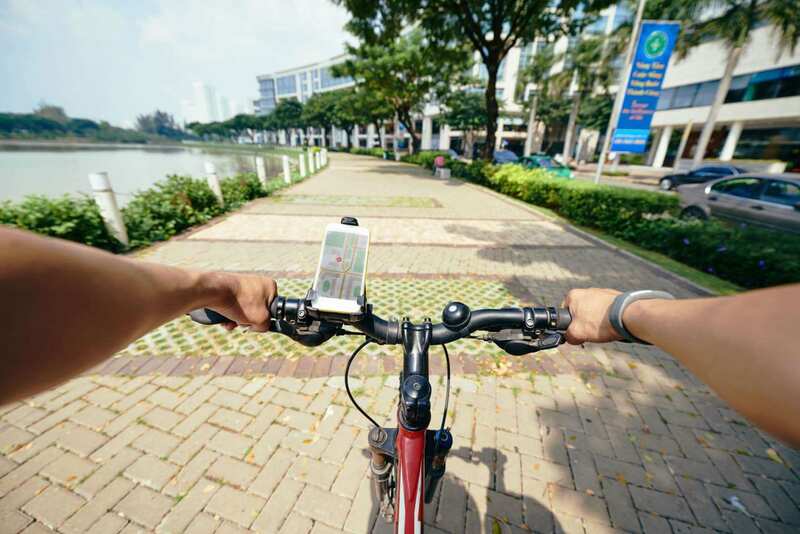 As explained by National University of Singapore Business School associate professor Nitin Pangarkar, bike sharing can succeed if services are based on improved business models. Poor decisions on the part of managing entities have certainly kept the phenomenon from evolving. Instead of supersaturating the market, companies should focus on creating brand loyalty. In addition to this, local governments and corporate owners need to start working together. Ventures that are funded entirely from corporate dollars might sound good on paper. However, they are bound to encounter many bumps in the road when the city isn’t one hundred percent on board with the proper infrastructure that is needed. For bike sharing to become the true future of public transit that motivates citizens to leave their automobiles at home, regulations need to be strengthened and ways to breed loyalty among consumers should be devised. Only through full and unabridged cooperation will the movement thrive in today’s still car-happy society. The history of bike sharing is certainly a complicated one. Still, while no one was willing to give the concept the time of day half a century ago, nowadays such services are fully integrated into our everyday lives. With the help of modern technology and cooperation from corporate entities and local governments alike, it might just turn into the new means of public transport.